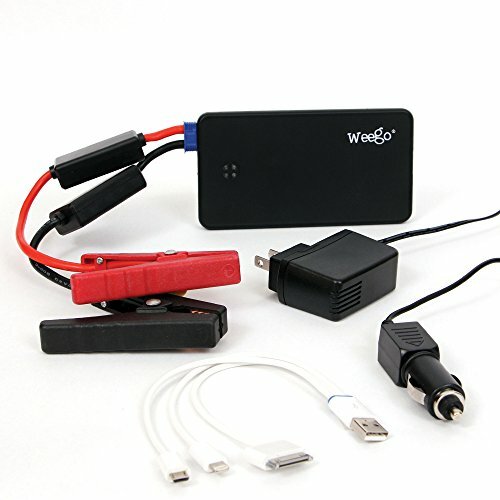 You’ll never have to flag down a stranger for a jump, wait around for AAA, or find yourself stranded in the middle of nowhere – Weego Standard Jump Starter Battery eliminates the need for jumper cables, bulky jumper packs, or calling for a tow – and allows you to get moving again, real fast! Our 12v lithium-polymer jump starter is designed to not only start your engine, but also charge your phone, tablet, speakers and other USB devices – and its small enough to fit in your pocket or glove box! Jump Starter Battery only loses 5% charge per month when stored. So charge it up, put it in your glove box and come back in a few months – you’ll still have more than half your charge left. 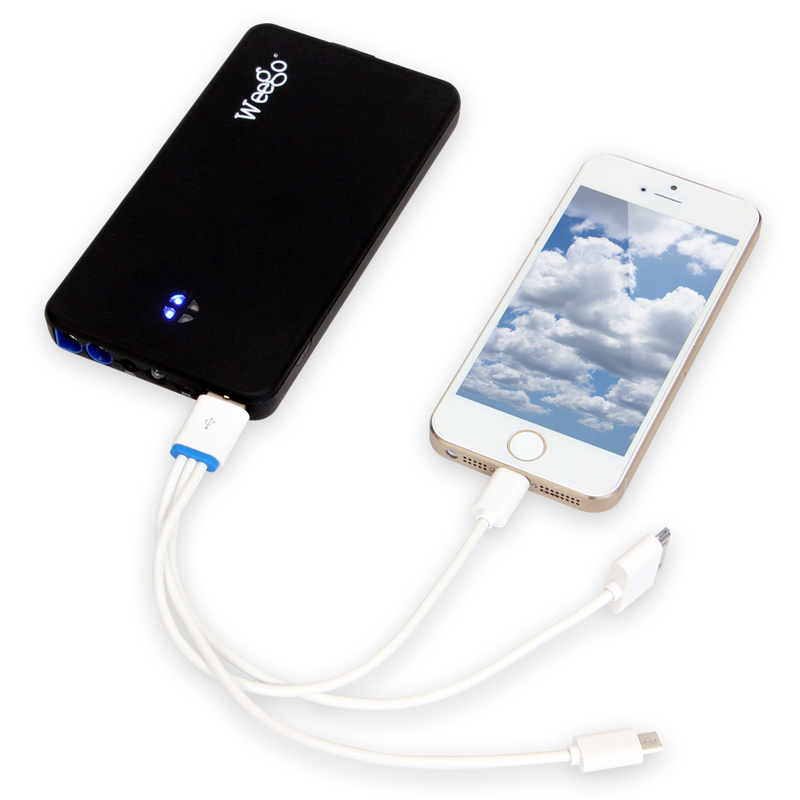 A thousand full charge and discharge cycles means your Weego can last for years and years. If you are in the market for a Weego, then safety and performance matter to you. Beware of other products that make unverifiable claims or offer products at steep discounts – you get what you pay for. Our products are made with durable, high quality components and built-in circuitry protections – there’s even protections in the jumper cables to ensure your safety. We use independent labs to verify the quality and performance of our jump starters so you can count on them to work. All Weego products are backed by a crazy long 18-month warranty and dedicated online support for your assurance. Each Jump Starter Battery includes everything you need for jumping and charging. The whole jump starting process is made fast and simple when using a Weego. Don’t worry – each Jump Starter Battery comes with a detailed instruction manual with easy-to-follow Instructions so that anyone and everyone cane easily jump their own car. Watch our in-house tech, Julianna, and get ready to Ditch the Cable Mabel! If something is wrong, we'll make it right, we guarantee it! Searching for your Weego Battery Charger in Canada? You are at the right place. We stock the best quality parts to ensure that you receive the best quality Weego Battery Charger in Canada. For this very reason, we carry parts manufactured by Weego. So you can be sure that the Battery Charger in Canada that you are purchasing is of quality you can expect from Weego. Shopping on our website is safe, fast and secure. 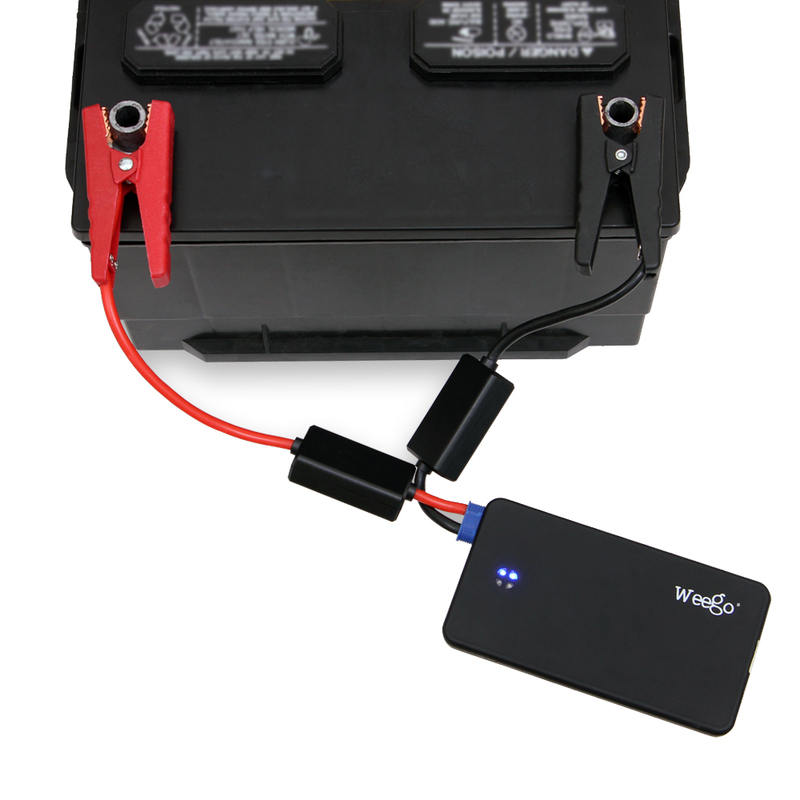 If the Weego Battery Charger you need is in stock, it will show up on the website and all you need to do is click the "Add to Cart" button to initiate your Battery Charger purchase. Just a few simple clicks later and your Battery Charger will be on the way to your Canadian home or business. We use a combination of shipping methods such as UPS and Purolator to have a country wide delivery area unmatched by any of our other competitors selling Battery Charger in Canada. Your Battery Charger may qualify for discounted ground shipping based on the order size, as long as you live in an area where UPS ground shipping is available. This covers over 97% of all Canadian residences. If you ever have any questions about the Battery Charger from Weego that you are purchasing, always feel free to contact our professional sales stuff by phone, email or live online chat and we will do our best to answer any questions you have prior to your purchase. Now that you have no reason to delay, click on the "add to cart button" above and get your Canadian Weego Battery Charger order on the way. Weego Charger is compact and functional with clear instructions for use. Easy to charge and to operate. I will use as emergency power supply for my motorbike and as USB charger for small electronics when I am away from mains power. I cannot comment yet on the emergency battery booster for ICE engines because I have not yet used it for that purpose. Others who have such experience appear satisfied.